Don’t let the word “Botox” scare you. 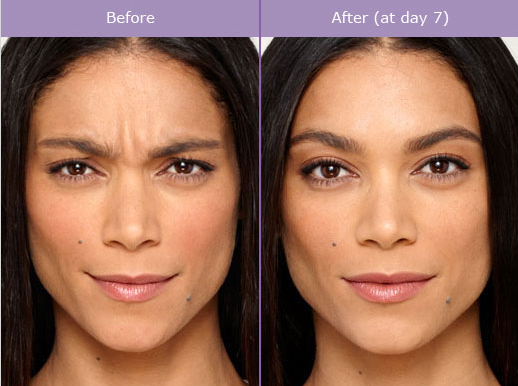 Don’t let the word “Botox” scare you. It is one of the most extensively studied medical aesthetic products in the world and is approved for use in 78 countries. It can erase or soften lines on the forehead frown lines or around the eyes. Also Botox is safely used for many other medical conditions such as migraines, excess sweating, urinary incontinence, muscle spasms, Bell’s palsy, and eyelid spasm. Repeated muscle contractions from squinting and frowning can cause facial lines. Botox works by temporarily reducing muscle activity in the area injected. Tiny injections are placed under the skin in the area being treated with minimal discomfort and no down time. A topical numbing agent or ice pack can be applied prior to treatment. You will start to notice results within a few days after treatment but 7’to 10 days is when you notice the full effect. For best results treatment should be repeated every 4 months to keep the muscle from moving and for continued improvement.